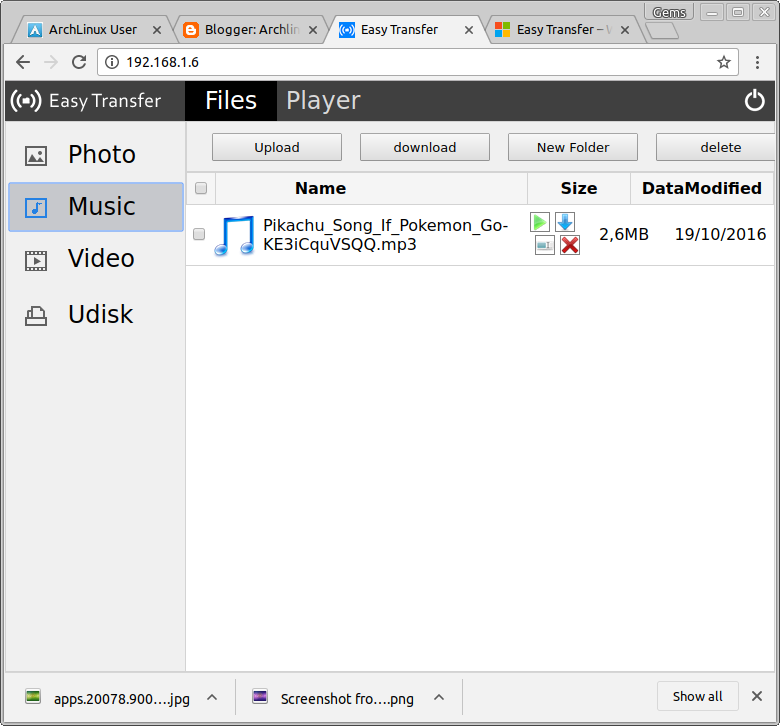 Easy transfer is windows phone application for transfering any media and files wireless using wifi network. It will let you easily upload or download pictures ,musics,videos and files over wifi. However,it is not all, it even can play your music and video in your browser. Open browser in the archlinux, and type address that show on your phones. 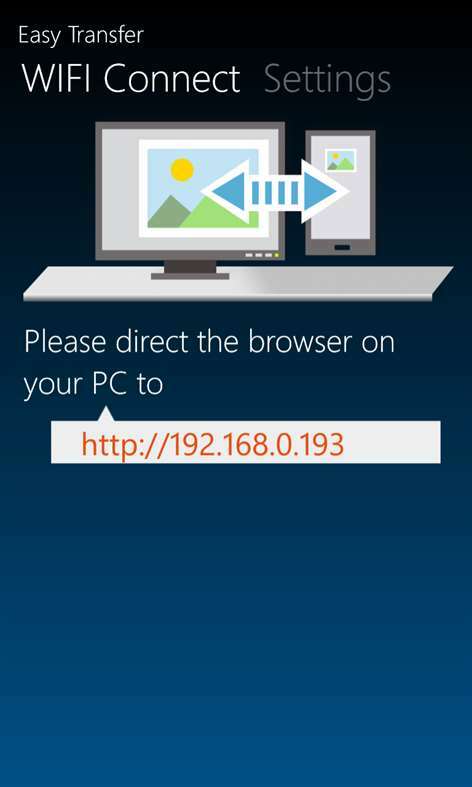 And now you can access any media and files in windows phone directly to browser.